If you thought Epic was done snatching up exclusives for the Epic Games Store, you were very mistaken. The policy’s proven contentious, to say the least, with both Metro Exodus and The Division 2 pilloried by a vocal contingent of “No Steam, No Buy” consumers. But that’s not stopping Tim Sweeney and co. This morning at its Game Developers Conference keynote, Epic confirmed fourteen additional exclusives. And before we get to counting them, let’s just pause and think about how much money that entails, and how much money Fortnite is making. It’s unfathomable. Anyway, the aforementioned “No Steam, No Buy” crowd might have a tough time swallowing some of these defections. 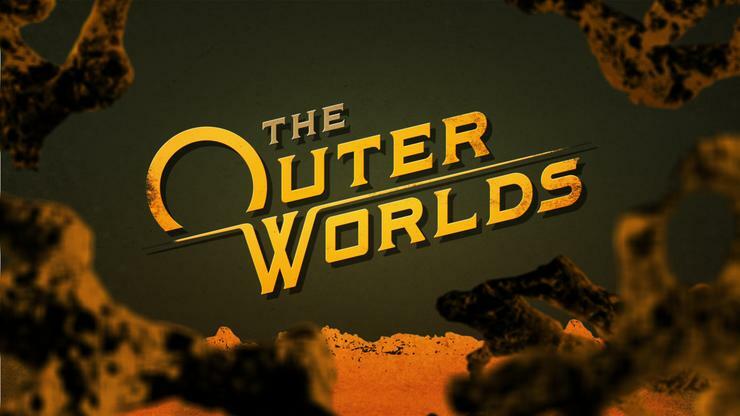 Chief among them: Obsidian’s upcoming RPG The Outer Worlds, revealed at the Game Awards in December, as well as Remedy’s sci-fi action title Control. Both are hotly anticipated PC games, both scheduled to release this summer, and now both are exclusive to Epic—at least at release. And while I have no love for Quantic Dream and David Cage’s style of hamfisted faux-cinema, Epic’s also snatched up those games as well. Long PlayStation exclusives, Epic announced that Heavy Rain, Beyond: Two Souls, and last year’s Detroit: Become Human are coming to PC for the first time, and you guessed it, they're Epic Games Store exclusives. The rest of the list is more niche, but there are some noteworthy titles among them. The Sinking City, Frogwares’ cosmic horror detective game, just last week announced a delay to June 27. Now we know why: because it’s an Epic Games Store exclusive. Further out, you’ve got Ancestors: The Humankind Odyssey, the odd-looking and extremely ambitious game from Assassin’s Creed creator Patrice Désilets. Yager’s next game The Cycle is on here as well, plus Oxenfree developer Night School’s followup Afterparty, and a grab-bag of others—Dauntless,Satisfactory, Journey to the Savage Planet,Spellbreak, Solar Ash, Kine, and Industries of Titan. It’s quite a lineup. And that’s in addition to Epic reaffirming its relationship with Ubisoft. No specific games were mentioned as forthcoming exclusives, but Epic did say Ubisoft “will bring several major PC releases to the store” in the future, and that some Ubisoft games will be given out for free later this year. The exclusives aren’t likely to stop, either. That’s the hope of the “No Steam, No Buy” crowd, yeah? If games like Metro and The Division 2 were flops, it’d be a sign to other developers that this sort of exclusivity doesn’t work, that people on the Epic Games Store are only interested in Fortnite, and that the greater PC community would stand by Valve. Epic addressed that during the keynote as well though, noting that Metro Exodus sold 2.5 times as many copies on the Epic Games Store in its first few weeks as Last Light sold on Steam in a similar period in 2013. So uh...that certainly sounds successful, at least in that one instance. Overall, it’s a pretty impressive start. Like it or not, the Epic Games Store’s already measurably changed PC gaming in only four months. Whether it can keep up the pace? I can’t say—but I don’t expect this is the last round of Epic Games Store exclusives. Still waiting on cloud saves though.